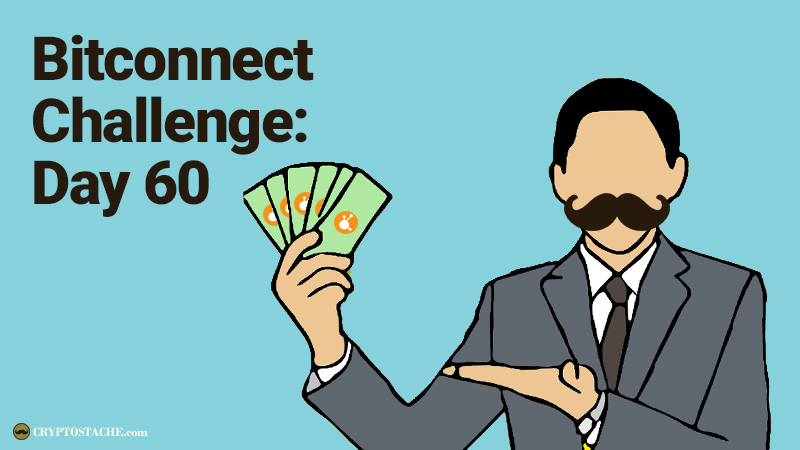 If you have been following me on my Bitconnect Challenge I wanted to give an update at this 60 day mark on where I am at with the platform, my thoughts on using it, and a summery of my strategy. 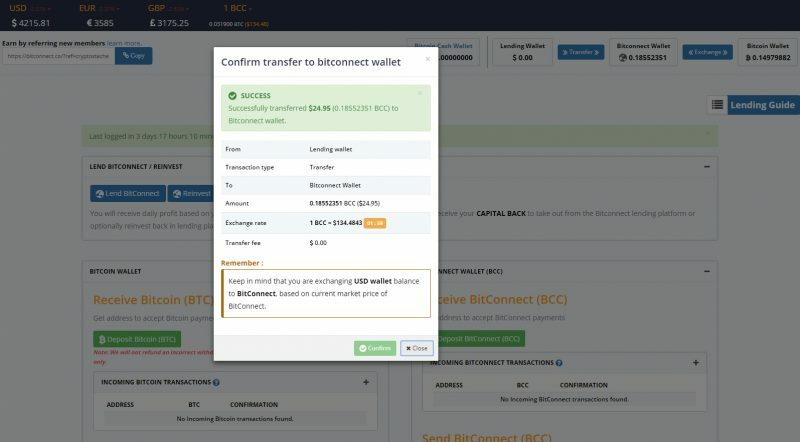 A lot of people are skeptical about Bitconnect, but so far I have had a pretty decent experience. Just to give a quick overview of my investment in Bitconnect to date. 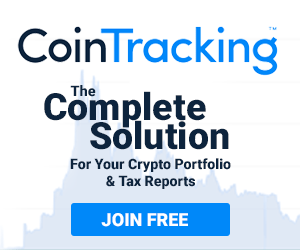 I invested $1010 initially for a 239 return with a 10% bonus to my daily interest which Bitconnect claims is around 1% a daly. 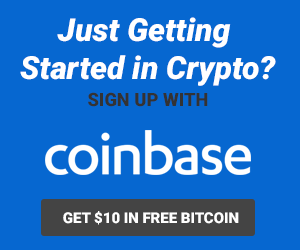 I decided to NOT POST my referral code until I knew the platform was solid and legit so people know you can make money without having to do mlm or referrals at all. After the first 3 weeks or so I decided to start transferring all my daily interest profits into BCC and then into BTC and keep my profits there. Many people like to "reinvest", but after reading up on this I decided not to use this feature until I got a my initial investment back. This may or may not end up being a mistake, but I did not like the fact that each new reinvest put a new 299 day hold on that reinvest amount from the time of the reinvest. This puts a continual hold on your money so you must commit to the platform for years. Here is a shot of my BTC wallet after I converted with the total amount. Right now I have exactly 0.15570222 Bitcoin ($656.99 USD at today's market value) from my daily interest profit of my original loan. If I had kept that daily interest payment in USD (which is what they issue you interest payments in), then I would be looking at $628.42 USD in value. So it looks like so far my strategy of exchanging my USD daily interest payments to BTC is paying off, but just slightly. I won't turn my nose up at the extra $28 in profit from holding my earnings in BTC, but I do need to remember that it all depends on the current value of Bitcoin too. I am essentially banking on Bitcoin to be the better store of value over the US Dollar (easy for me to do, not so easy for others!). 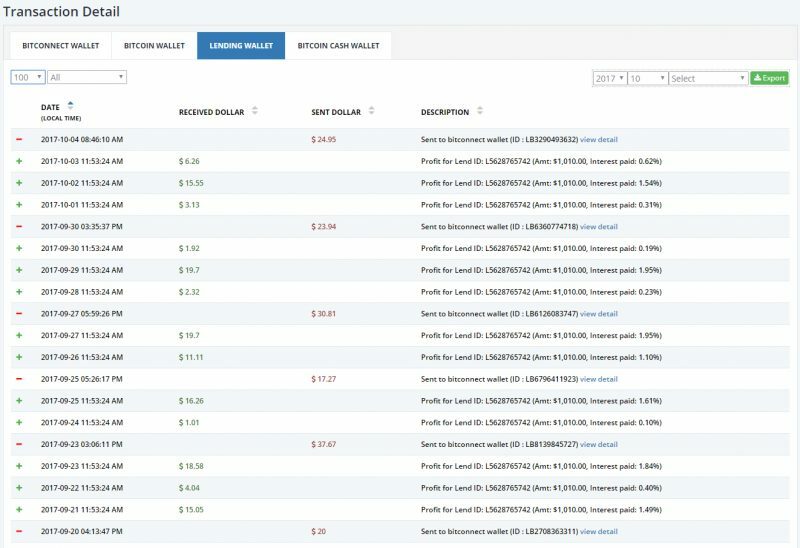 Here is a screen shot of my recent transactions where you can see my daily interest rate and how I transfer my funds to BTC. Even though there have been a few bumps in my short journey I feel that Bitconnect played them well and made me a more confident user (see my article about their website crashing here). Of course I still have a lot of days to go (179 to be exact!) before I get my initial investment of $1010 back, but I think that come April 1st, 2018 (yes I know, ironic right??) I will be sitting pretty with a nice profit from y Bitconnect investment. Who knows, I might even start posting my referral code and doing the "reinvest" game, but for now I will stick to the basics for a while longer. 'Stache That Crypto Till Next Time Friends!